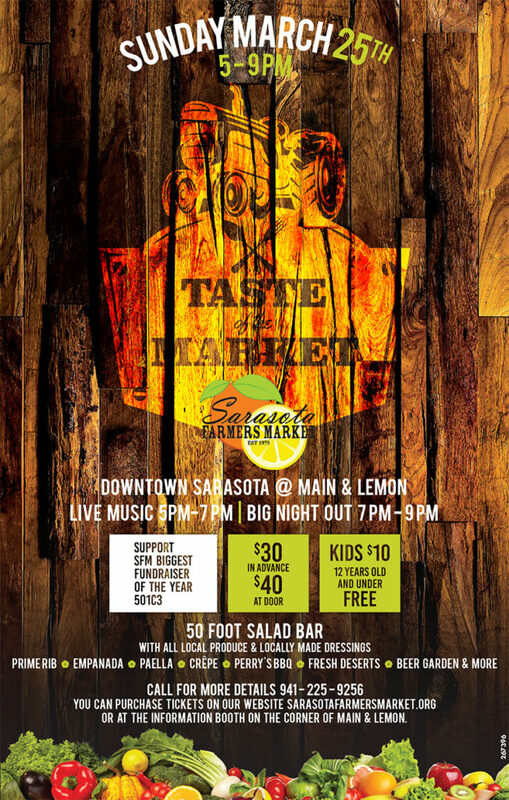 Support the Sarasota Farmers Market. This is our biggest fundraising event of the year. Come and hang out with us to enjoy good friends, good food and lots of good fun! Tickets are no longer available online. Please buy your tickets at the door. See you there!